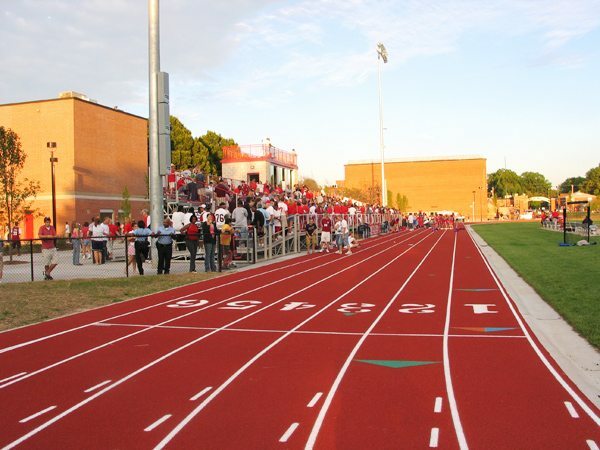 • New “state of the art”, 400 meter, 6 lane rubberized track with long/triple jump and high jump capabilities. 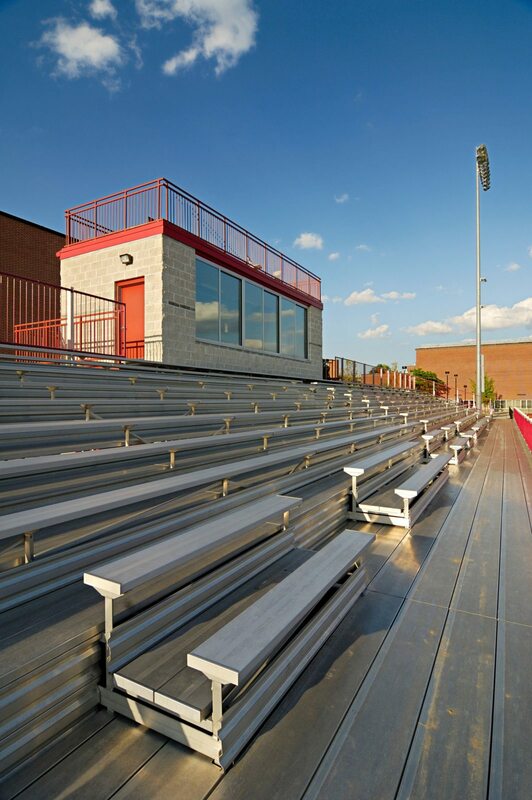 • New football and soccer field with lights & irrigation system. • Redeveloped practice field with irrigation system. 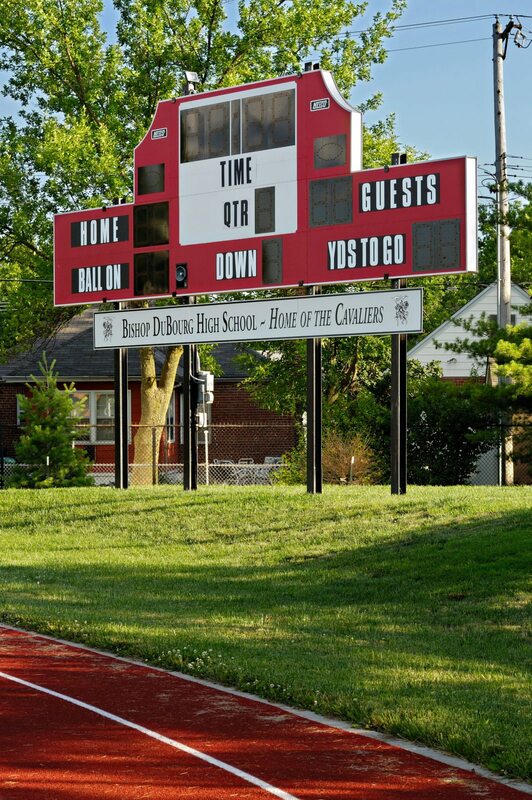 • New “state-of-the-art” scoreboard with high definition graphics. • New walking plaza complete with new lighting standards and landscaping. 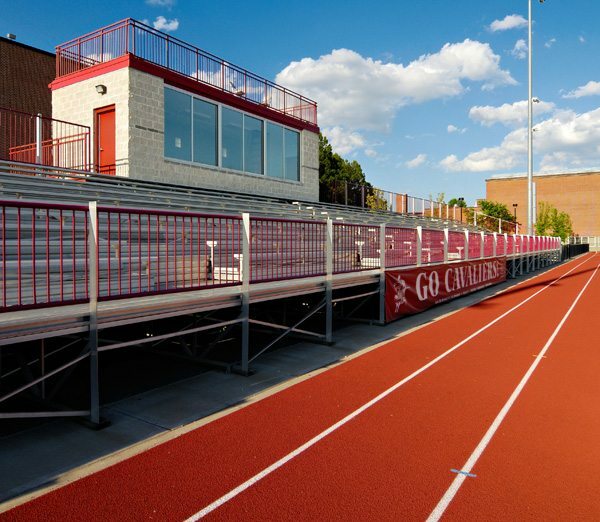 • New 2-story press box with lower level storage, second level press box seating area, and rooftop video recording level. 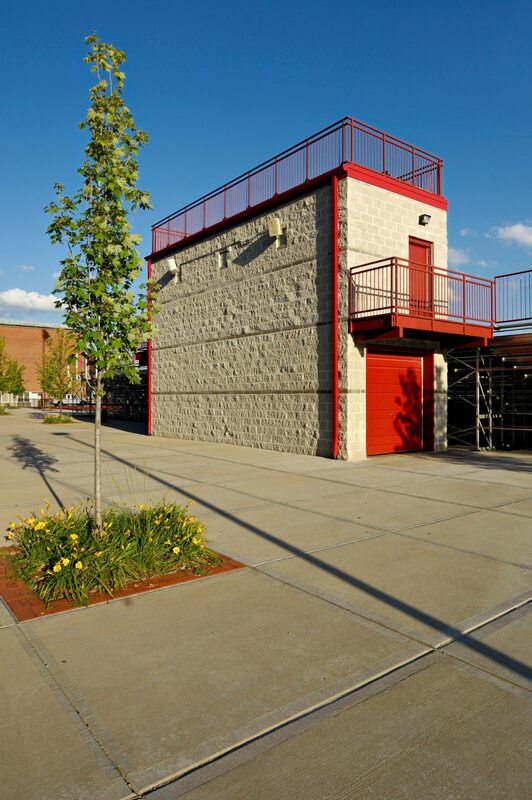 • Redeveloped parking layout with lights to accommodate 50 vehicles. 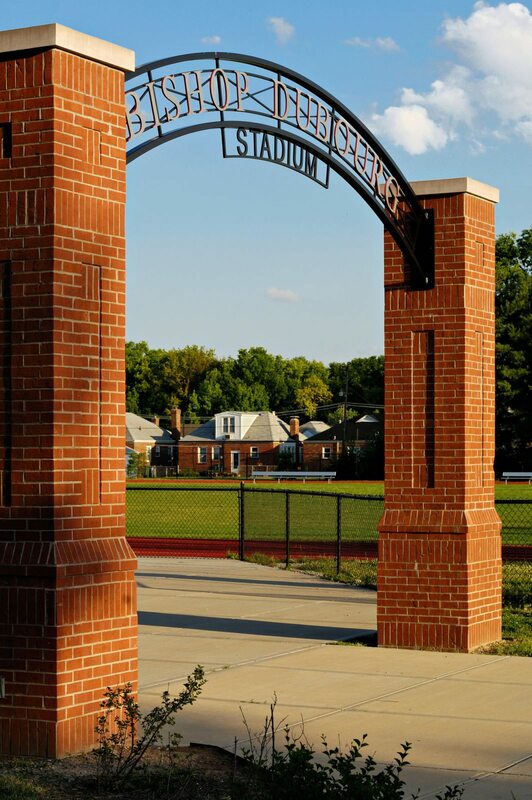 • Two new monumental brick archways commemorating school’s name and facility.